All donations will benefit the Awaso Hope Academy Physical Education Development Program in rural Ghana, Africa. Awaso Hope is developing a P.E. program at Awaso Academy International, an independent elementary school in rural Ghana, Africa. This program will accompany the new area that will be seeded with grass so that the children and play and learn organized sports and games. If there are any sport-related items that your kids have outgrown or you have extra of that you could donate, it will be appreciated. If you cannot make it to the event, please consider making a donation toward the program at www.awasohope.org and click on make donation. No donation is too small. Proceeds will be used to purchase the needed equipment. These children have nothing to play with or be active with. Anything will be appreciated. 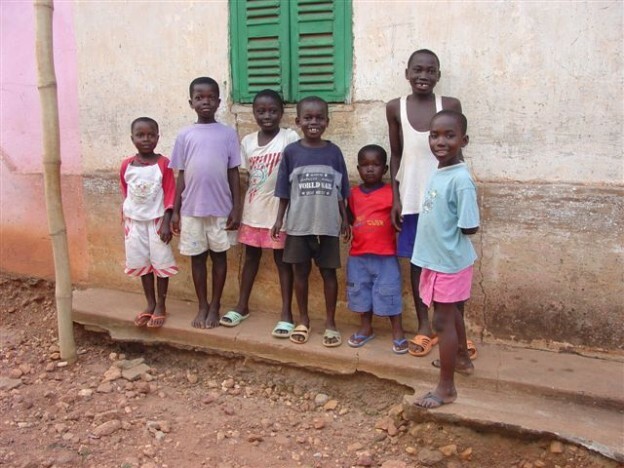 FIT members Liz and Jack Weingart are traveling to Ghana this summer with their family and will be hand delivering anything we collect to the children!!! Hope you can stop by. We are also assembling first aid kits, and giving our kids a chance to write letters to the students there. This entry was posted in Events and tagged Awaso Hope Academy, Charity, FIT, Los Altos, Sports Equipment Drive.